TRS Ltd can provide the highest quality technologies and products on the market. Brands like Dennis Eagle, Terberg, Otto, Geesink Norba, Heil, AMCS and Haller are among the well-known brands we offer. With Multiple vehicle combinations on offer we simply can’t be beaten on product flexibility and our packages are put together to maximize customer satisfaction. Please contact info@trs.ie to discuss any requirements you may have, we will be more than happy to help you make the best choice to suit your needs. 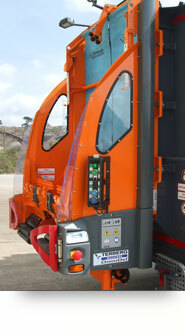 TRS Ltd also stock a wide variety of used and refurbished refuse collection equipment with the same TRS stamp of quality.